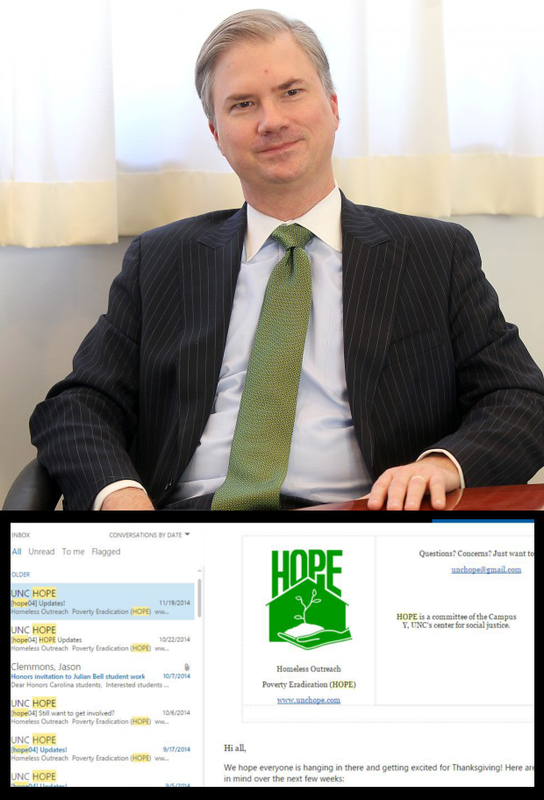 ST. LOUIS, MO—Scrolling through emails in his office this morning, Holden Thorp, Provost at Washington University in St. Louis and former Chancellor of the University of North Carolina at Chapel Hill, dedicated another few minutes to attempting to unsubscribe from the UNC HOPE Gardens listserv. Thorp, who had signed up for the listserv upon first becoming Chancellor at UNC and after seeing the booth at FallFest, had never actually been to the student run community garden but had heard it was a “pretty cool organization” from multiple friends. He would routinely delete their weekly, or sometimes daily, messages and consider getting involved the next semester. Sources close to Thorp said that commitments to being Chancellor of the University made it difficult for him to find time to involve himself in the workings of the community garden. Still, HOPE Gardens has peppered Thorp consistently with emails on their meetings, potlucks and other interesting ways to get involved on campus for those passionate about studying food, eventually leading to annoyance. Thorp spent the next ten minutes combing the email once more before another popped up, informing him that the Carolina International Relations Association’s meeting had been moved to Hanes 304.